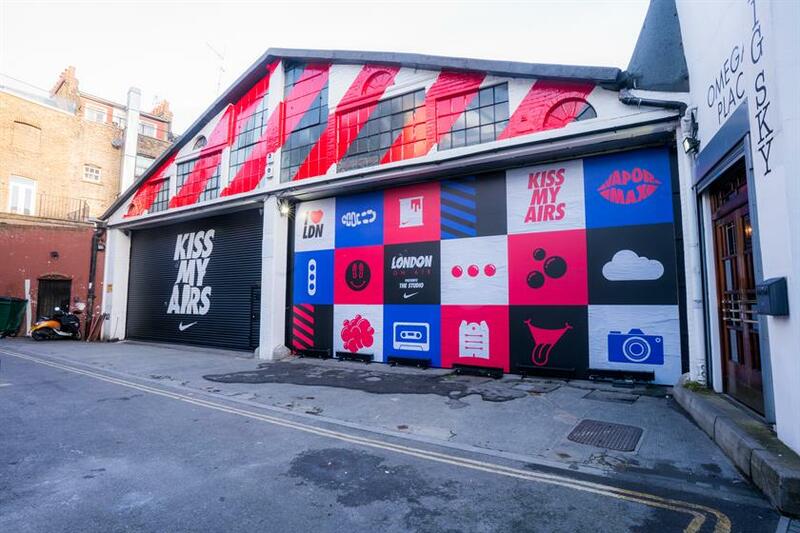 In the lead up to Air Max Day, Nike created 'London: ON AIR - The Studio' - a collaborative space in King's Cross, London. 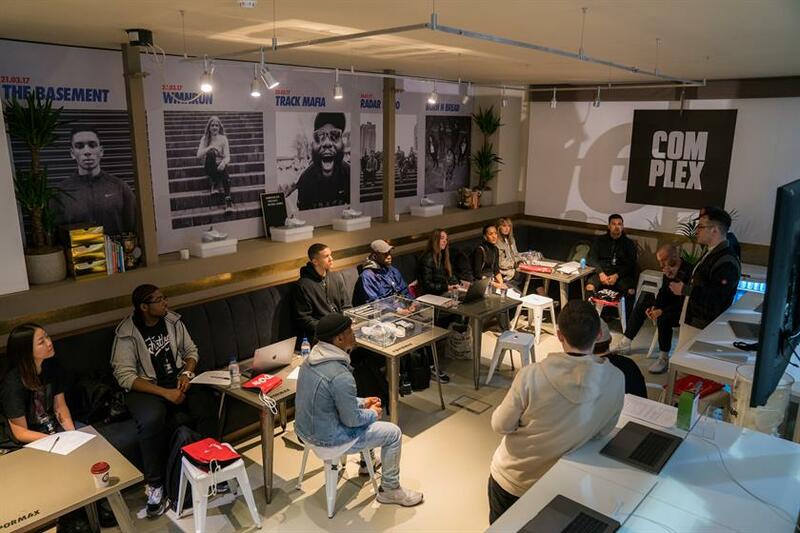 Nike welcomed more than 650 people into The Studio in the lead up to Air Max Day yesterday (26 March) to work with industry leading mentors in the fields of music production, photography and interactive design. The space hosted a series of workshops aimed at inspiring and fostering young creative talent. The mentors, which ran the workshops, were selected because they are pushing the boundaries of the field they work in. Brand experience agency XYZ managed event production, while Hotel was the creative agency. The Studio's mentors included illustrator Alice Stewart, video artist Natalia Stuyk, photographers Joseph Hayes and Olly Burn, alongside representatives from Radar Radio. 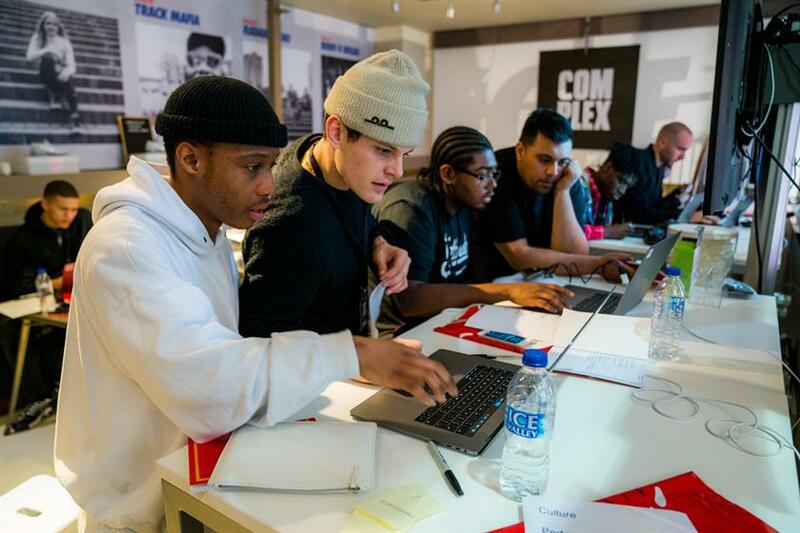 The mentors called on the heritage and innovation of Nike Air Max to teach the attendees new skills and help them to create work inspired by the Nike VaporMax. A beginner interactive design workshop was run by Hackney-based video artist Natalia Stuyk who taught participants how to produce animations that capture light, air and movement in a new way. The intermediate level workshops hosted by Alice Stewart, who’s internet-driven illustration gave participants a whole new perspective on how they interact with the screen. The beginner level photography workshop was led by Olly Burn, a North Londoner who’s work focuses on capturing the authenticity and the spirit of his subject. His workshop gave participants a chance to shoot outside as well as experiment in the studio. The intermediate workshop was taught by The Illusion of Depth (Joseph Hayes), who’s experimental approach taught the participants how to make their own 3D GIF. The music production workshops were run by Radar Radio, the London-based radio station and studio that champions the next generation of London’s talent. These sessions taught vistors about the the foundations of music production, as well as getting the chance to work and collaborate with special guest mentors. Nike also hosted pop-ups in the US and Canada as part of Air Max Day. More: Earlier this month, Nike hosted its first ever 'Strike Night' event at a secret location in London.